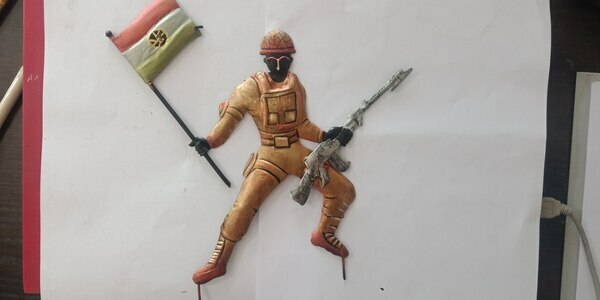 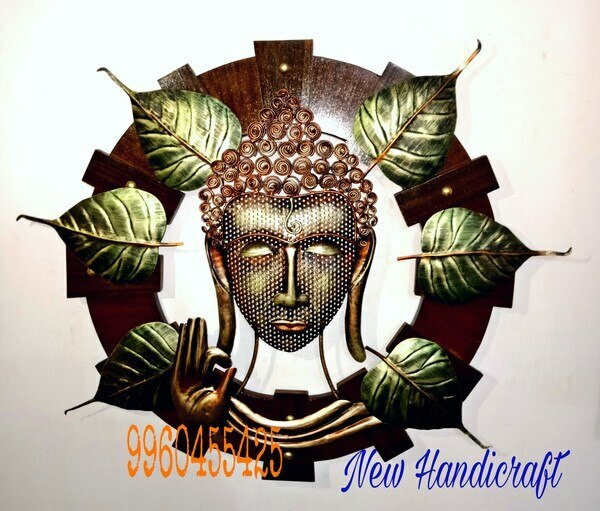 New Handicraft, Home» About Us Awesome Art And Craft We “Awesome Art & Craft” founded in the year 2012 are a renowned firm that is engaged in manufacturing a wide assortment of Wall Hangings Home Decor, Key Holder, Home Decor, Iron Handicraft, Wrought Iron Handicrafts, Decorative Figurine, etc. 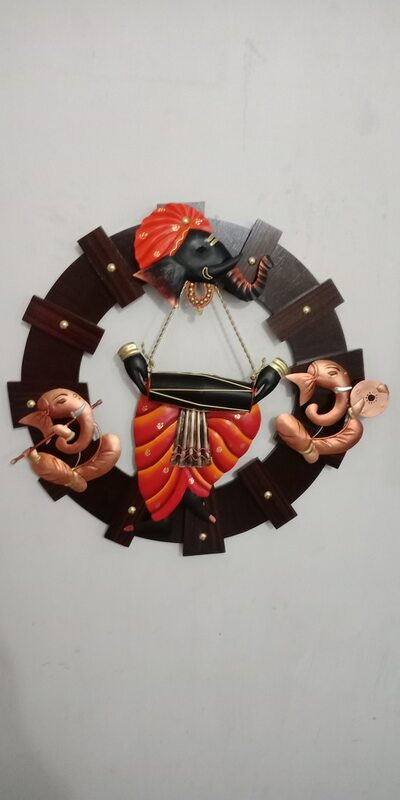 At awesome art and craft, our manufacturing unit is carefully monitored at each stage of production by quality control staff to ensure customers get best quality products. 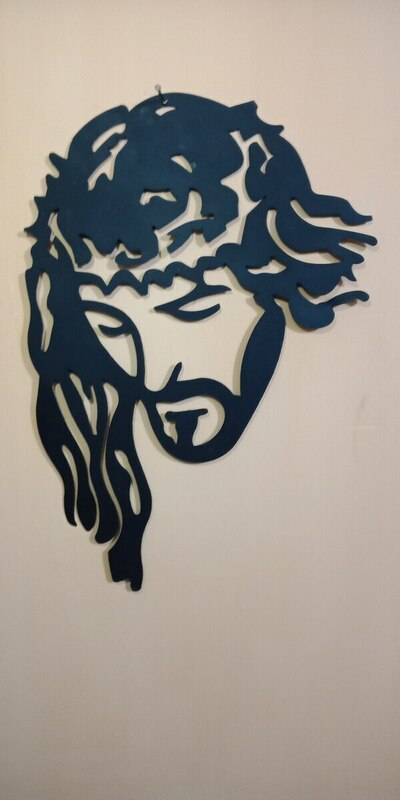 We carefully design to preserve the ethanicity and infuse modern trends to suit our customers' taste. 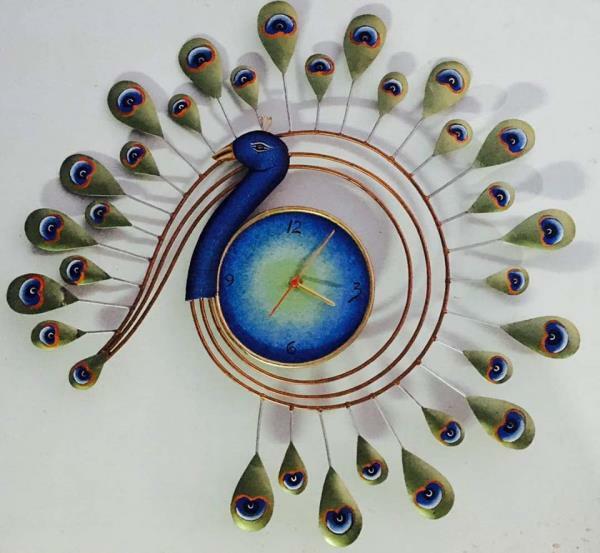 We are striving towards providing best quality, innovative designs and 100% satisfaction to our customers in the market. 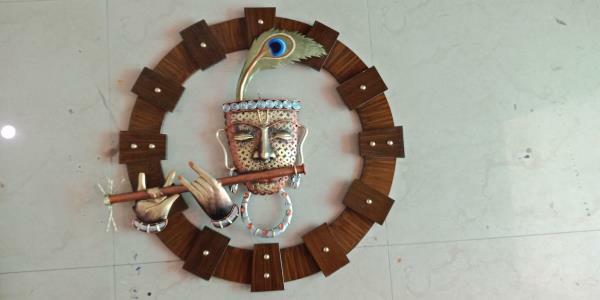 Join hands with us to have a splendid experience. 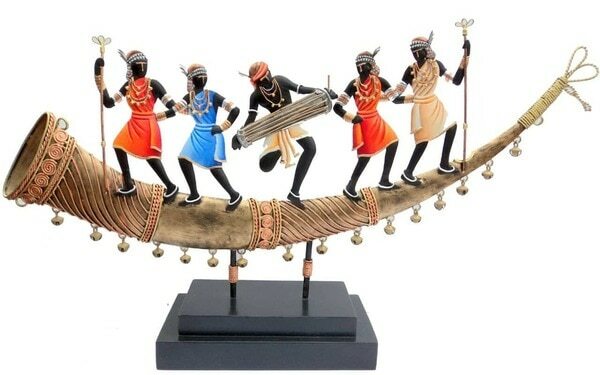 Krishna Flute, Round Circle, Under Tree, Sitting, Iron Crafts Item, best iron handicraft manufacturer in india, Show Piece, Show Piece, Show Piece, Show Piece, Metal Art, Handicraft, Jodhpur, Indian Iron Crafts New Iron Handicraft Tribal Handicrafts Decorative Handicrafts Ganesh Iron Handicraft Nagpur Tribal Dancing Couples Table Top Tribal Handicrafts, Tree Swing Radha Kishna Swing, 3D Ganesha Face, 3D Krishna Face Iron Tribal Handicraft Indian Tribal Handicraft Handicraft & Decorative Ganesha Handicraft Items Decorative HandicraftsRemove Wrought Iron Handicrafts Krishna Flute Round Circle Under Tree Sitting Indian Handicraft Items Metal Art Handicraft Jodhpur Grass Couple Radha Krishna Zula Racking Ganesha Rajasthani Four People Statue Lord Krishna Paknting Handicraft Items New Iron Handicraft Decorative Handicrafts Ganesh Iron Handicraft Nagpur Iron Trophy Gift India, Tree Swing Radha Kishna Swing, Indian Culture Iron Handicraft, Handicraft & Decorative, Ganesha Handicraft Items, Top Metal Handicraft Item Meera Krishna Wall Hanging Home Decor Indian Handicraft Items Metal Art Handicraft Jodhpur Grass Couple Radha Krishna Zula Racking Ganesha Rajasthani Four People Statue Lord Krishna Paknting Handicraft Items Decorative Handicrafts Handicraft & Decorative Ganesha Handicraft Items Iron Handicraft, Tribal Handicrafts Tribal Dancing Couples Table Top Tribal Handicrafts, Iron Tribal Handicraft, Indian Tribal Handicraft, Tribal Art Crafts, Tribal couple, Tribal Indian Handicraft Wrought Iron, Indian Handicraft Items, Indian Iron Crafts, Tribal Arts Indian Handicrafts, Ganesh Iron Handicraft Nagpur, Indian Culture Iron Handicraft, Tribal Arts Indian Handicrafts, Tribal Dancing Couples Table Top 3D Ganesha Face 3D Krishna Face Indian Culture Iron Handicraft ShowpieceRemove Show Piece Show Piece Show Piece Show Piece Iron CraftsRemove Wrought Iron Handicrafts Indian Iron Crafts Iron Handicraft Decorative ArtsRemove Tribal Arts Indian Handicrafts 3D Ganesha Face 3D Krishna Face Wrought Iron CraftsRemove Tribal Indian Handicraft Wrought Iron Metal CraftsRemove Top Metal Handicraft Item Meera Krishna Wall Hanging Home Decor Metal HandicraftRemove Top Metal Handicraft Item Meera Krishna Wall Hanging Home Decor Wall & Door Hangings Categories Products Wall HangingRemove Karva Elephant Radha Krishna Swing With Dancing Dolls Combo Set Wall Hanging Butterfly Wall Decor Shrinathji Mukut Iron Krishna Flute Wall Hanging Modern Art Cut Face Wall Hanging Warli Wall Hanging Sleeping Ganesha Jhula Wall Hanging Candel Tree Wall Hanging Wall Hangings Radha Krishna Wall Hanging Metal Krishna Makhan Chor Wall Hanging Musician Female Wall Hanging Best Of Wrought Iron Sun Handicraft Home Decor Wall Hanging. 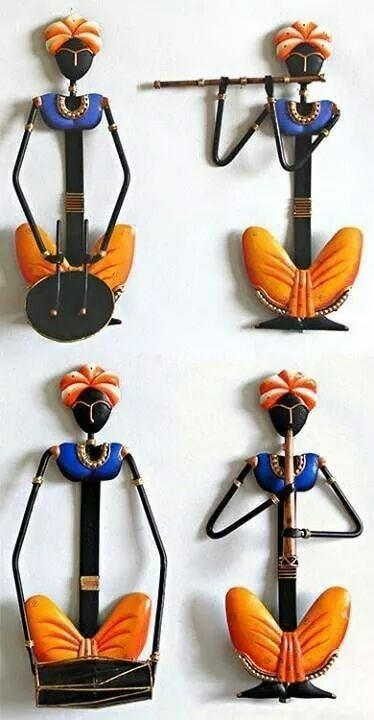 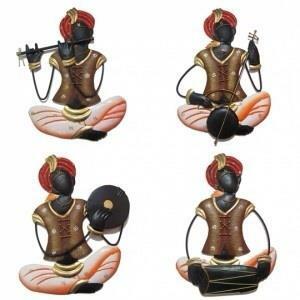 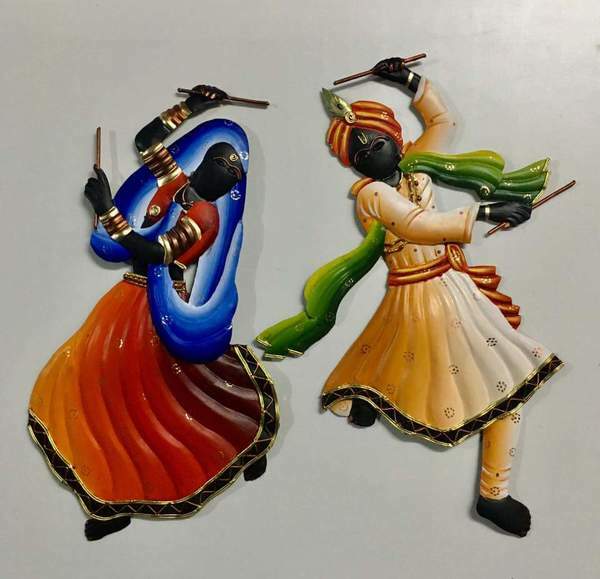 Iron Ganesha Musician Krishna & Radha Swing Iron Wall Krishna Key Hangers Rajasthani Muscian Set Wall Hanging Rajasthani Muscian Set Wall Hanging Tribal Art Wall Hanging. 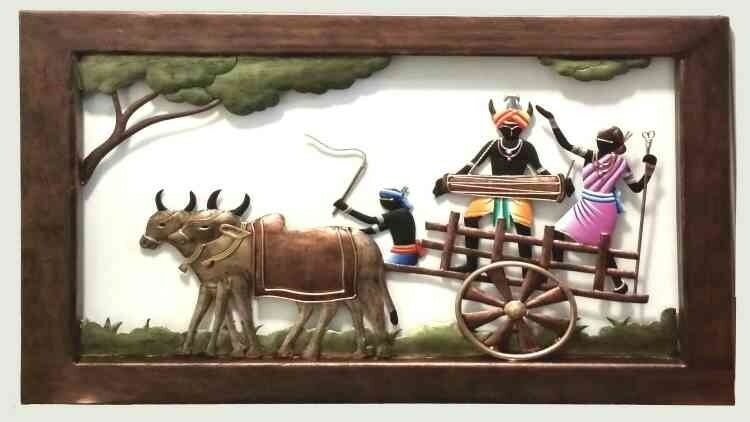 Shrinathji Krishna Face Wall Hanging Village Couole Bullak Cart Wall Hanging Elephant Karva Wall Hanging Rajasthani Lady With Camel Tree wall hanging. 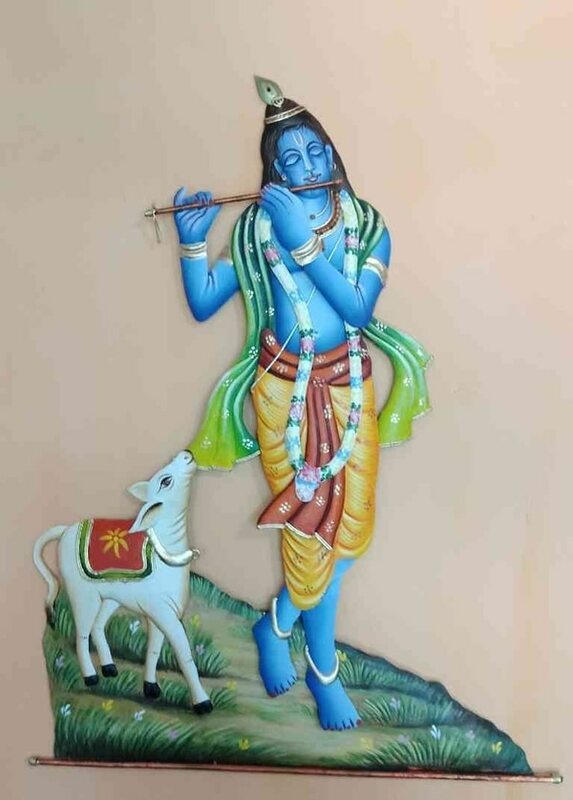 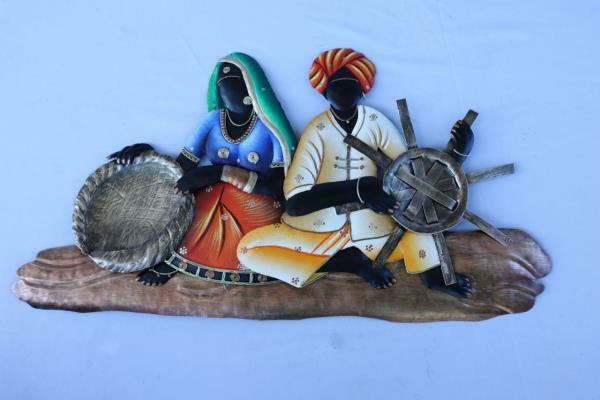 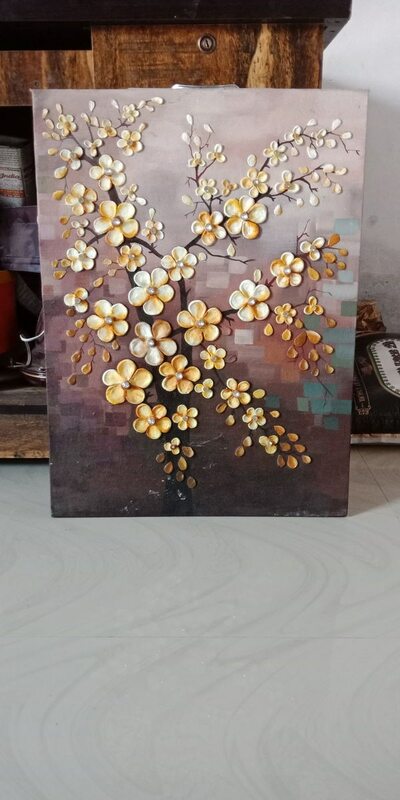 Radha Kishan Home Decor Wall Hanging. 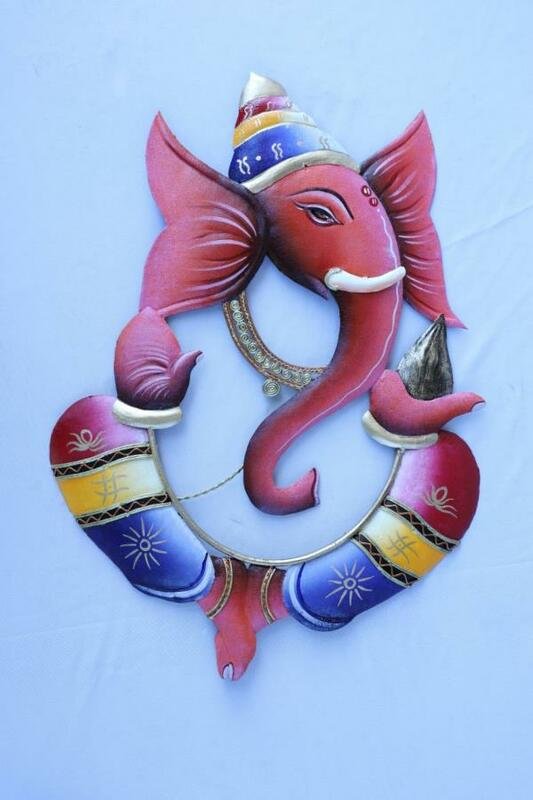 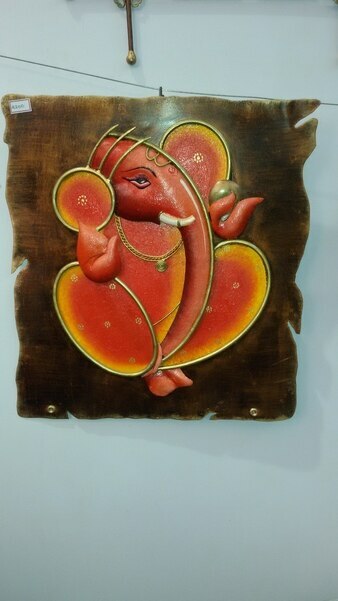 Decorative Wall HangingRemove Karva Elephant Namaste Making Wrought Iron Handicrafts Shrinathji Mukut Iron Krishna Flute Wall Hanging Warli Wall Hanging Sleeping Ganesha Jhula Wall Hanging Candel Tree Wall Hanging Wall Hangings Radha Krishna Wall Hanging Metal Krishna Makhan Chor Wall Hanging Musician Female Wall Hanging Iron Ganesha Musician Village Couole Bullak Cart Wall Hanging Elephant Karva Wall Hanging Rajasthani Lady With Camel Tree wall hanging. 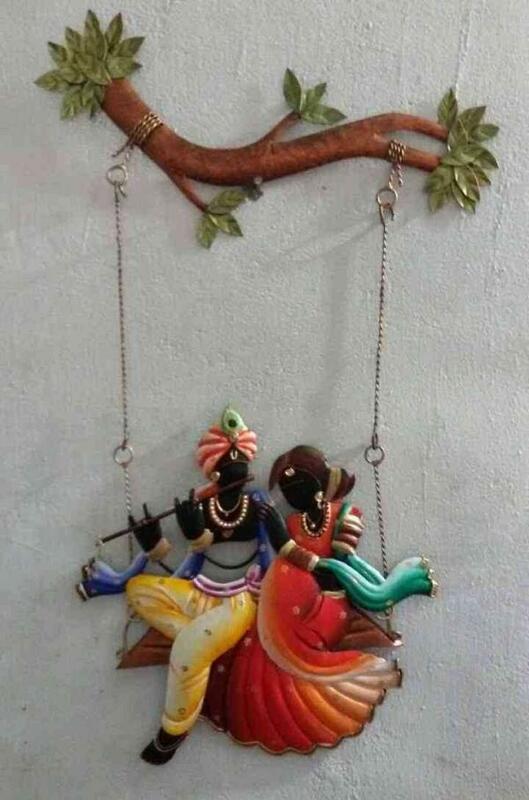 Radha Kishan Home Decor Wall Hanging. 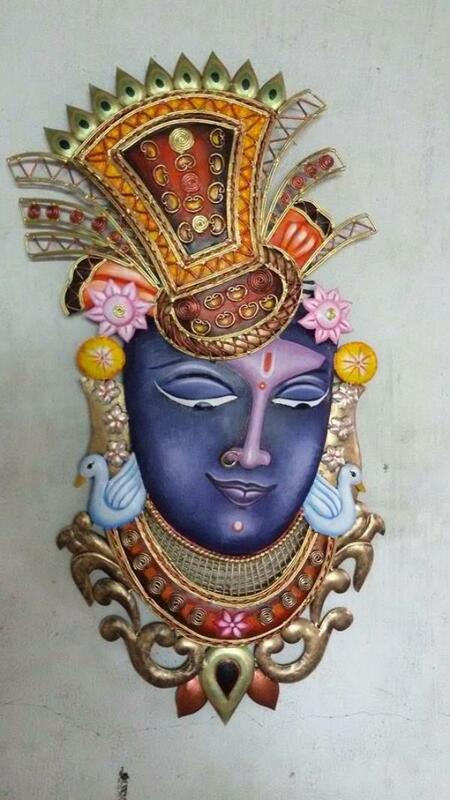 Mask Wall Hanging Iron Wall HangingRemove Namaste Making Wrought Iron Handicrafts Leaf Wrought Iron Wall Hanging. 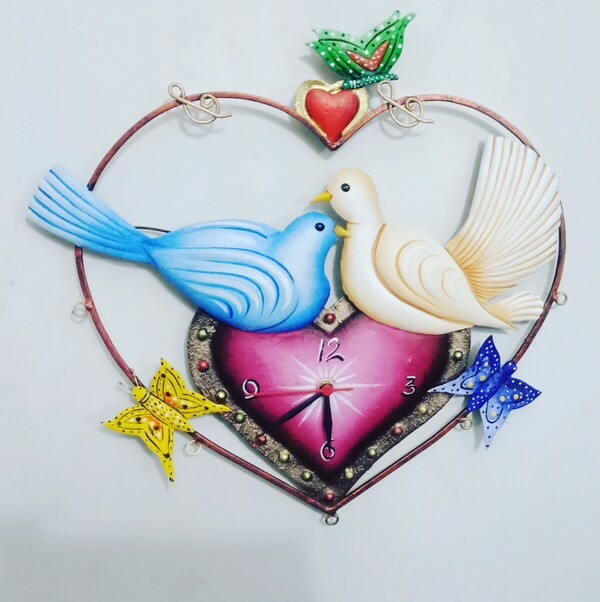 Best Of Wrought Iron Sun Handicraft Home Decor Wall Hanging. 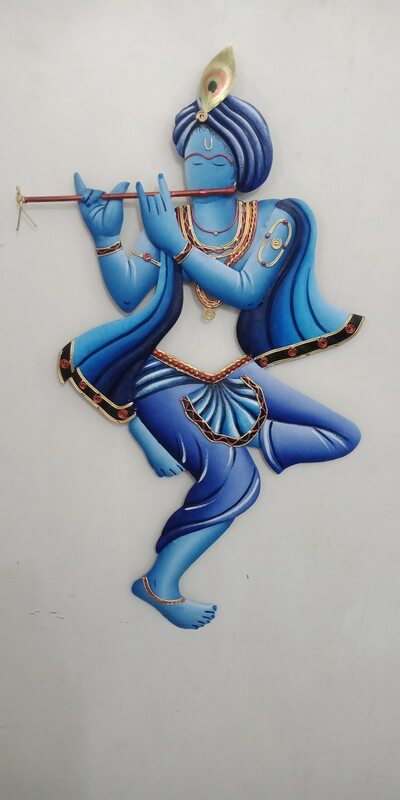 Krishna & Radha Swing Iron Wall Elephant King Wrought Iron Wrought Iron Wall HangingRemove Namaste Making Wrought Iron Handicrafts Leaf Wrought Iron Wall Hanging. 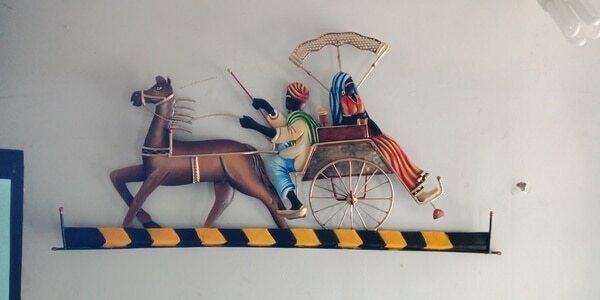 Best Of Wrought Iron Sun Handicraft Home Decor Wall Hanging. 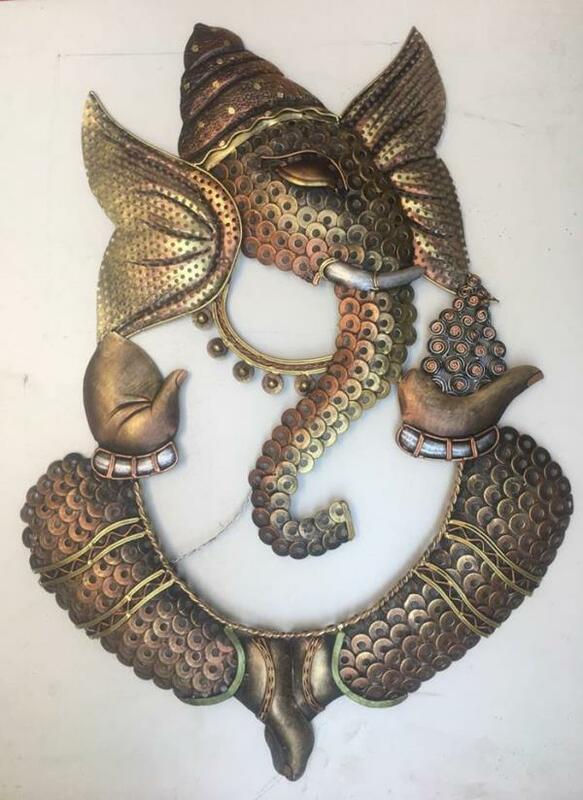 Elephant King Wrought Iron Wall DecorRemove Radha Krishna Statue Wall Decor Butterfly Wall Decor Flowers Antiq Wall Decor Fashion Key HolderRemove Peacock Key Hanger Metal Wall ArtRemove Birds Egel Metal Art Wall ArtRemove Birds Egel Metal Art Key StandsRemove Peacock Key Hanger Butterfly Wall HangingRemove Butterfly Wall Decor Metal Wall HangingRemove Radha Krishna Swing With Dancing Dolls Combo Set Wall Hanging Modern Wall HangingsRemove Radha Krishna Swing With Dancing Dolls Combo Set Wall Hanging Key HoldersRemove Peacock Key Hanger Abstract & Contemporary Paintings Categories Products Decorative PaintingsRemove Kathaks Dance Female Couples Metal Painting Lord Shrinathji Home Decor painting Village Painting Canvas Painting Bastar Tribal Paintings Lord Ganesha Painting Rajasthani Paintings Canvas PaintingRemove Kathaks Dance Female Couples Metal Painting Most Beautiful Creative Rajasthani Marriage Culture Iron Crafts And Canvas Painting Most Beautiful Wrought Iron Indian Tribal Handicraft Wall Street Canvas Hand Made Painting Canvas Painting 3d Krishna Flute Handicrafts Canvas Painting Radha Krishna Canvas Painting PaintingsRemove Kathaks Dance Female Couples Metal Painting Village Painting Canvas Painting Bastar Tribal Paintings Radha Krishna Canvas Painting God PaintingRemove Krishna Painting Lord Ganesha Painting Ganesha Paintings & Ganpati Art By Indian Handicraft Krishna PaintingRemove Krishna Painting Krishna Mural Painting Religious PaintingRemove Krishna Painting Ganesha Paintings & Ganpati Art By Indian Handicraft Indian PaintingsRemove Rajasthan Camel Painting Rajasthani Paintings Rajasthani PaintingRemove Rajasthan Camel Painting Rajasthani Paintings Radha Krishna PaintingsRemove Radha Krishna Canvas Painting Abstract PaintingRemove Abstract Buddha Painting Mural PaintingsRemove Krishna Mural Painting Tribal PaintingRemove Bastar Tribal Paintings Ganesh StatueRemove Ganesha Paintings & Ganpati Art By Indian Handicraft Village PaintingRemove Village Painting Ironware, Ironmongery & Iron Artware Categories Products Iron CraftsRemove Wrought Iron Handicraft Wrought Iron Components Best Off Handicraft Radha Krishna Iron Handicrafts Krishna Radha Iron Handicrafts Musical Wrought Iron Handicraft Wall Flowers Iron Crafts Warli Iron Article Wrought Iron Handicraft Flowers Wrought Iron CraftsRemove Krishna Flute Peacock Wrought Iron Handicraft Wrought Iron Components Best Doli By Wedding Warli Iron Article Wrought Iron Handicraft Flowers Decorative ItemsRemove Krishna Flute Peacock Wrought Iron Handicraft Best Off Handicraft Wall Flowers Iron Crafts Decorative HandicraftsRemove Musical Wrought Iron Handicraft God & Goddess Statues Categories Products God StatuesRemove Lord Buddha Statues Lord Ganesha Statue Ganesh Musicals Lord Ganesha Sculpture Ganesh StatueRemove Lord Ganesha Statue Ganesh Musicals Tribal Art Ganesha Lord Ganesha Sculpture God IdolsRemove Ganesh Musicals Lord Ganesha Sculpture Krishna SwingRemove Radha Krishna Swing Indian God StatuesRemove Lord Ganesha Statue Religious StatuesRemove Lord Buddha Statues Buddha StatueRemove Lord Buddha Statues Brass, Copper & Metal Handicrafts Categories Products Metal HandicraftRemove Top Metal Handicraft Lors Ganesha Musician Instrument Wall Hanging Home Decor Article Set Off Four Most Beautifull Gifting Purpose Garba Dandiya Couple Table Top Metal Handicraft Article Tribal Chhattisgarh Handicraft Metal Rajasthani Culture Metal Handicraft Musical Ganesha Metal Handicrafts HD Radha Krishna Swing Metal Handicrafts Metal Crafts Top Metal Handicraft Lors Ganesha Musician Instrument Wall Hanging Home Decor Article Set Off Four Sun Flower Metal Handicraft Tribal Chhattisgarh Handicraft Metal Rajasthani Culture Metal Handicraft Musical Ganesha Metal Handicrafts Indian Handicraft Sun Flower Metal Handicraft Handicraft Items Rajasthani Culture Metal Handicraft Decorative Items Tribal Chhattisgarh Handicraft Metal Statues & Sculptures Categories Products Metal Sculptures Metal Statue China Metal Art Sculpture Metal Sculpture Metal Statue Metal Statue Metal Sculpture Decorative Sculpture China Metal Art Sculpture Metal Sculpture Animal Sculptures Bullock Cart Iron Sculpture Iron Sculpture Aadivadi Table Top Sculpture Animal Statues Bullock Cart Iron Sculpture Decorative Articles Bullock Cart Iron Sculpture Abstract Art Sculpture Abstract Metal Art Abstract Sculpture Abstract Metal Art Art SculptureRemove China Metal Art Sculpture Clocks and Watches Categories Products Decorative Clock Handicrafts Clock Handicraft Clock Tabla gitar hand clock Decorative Wall Clock Round Wall Clock Dandiya Clock Tabla gitar hand clock Wall Clock Round Wall Clock Handicrafts Clock Art Wall Clock Dandiya Clock Peacock Hanging Wall ClockRemove Peacock Clock Metal Wall Clock Iron Clock Round Wall Clock Round Wall Clock Iron Wall Clock Iron Clock Photo Frames & Picture Frames Categories Products Designer Photo Frames Flower Photo Frame Flower Photo Frame Designer Flower Photo Frame Flower Photo Frame Photo Frame Flower Photo Frame Flower Photo Frame Designer Flower Photo Frame Flower Photo Frame Decorative Photo Frame Flower Photo Frame Flower Photo Frame Designer Flower Photo Frame Flower Photo Frame Awards & Trophies Categories Products Trophies Garba Dandiya Couples Gifts Trophy Metal Trophy Trophy Award Trophy Metal Trophies Metal Trophy Trophy Award Trophy Award Trophies Garba Dandiya Couples Gifts Trophy Metal Trophy Award Trophy Keychains & Bottle Openers Categories Products Keychains Acrylic Key Chain Peacock Feather Key Chain Metal Key Chain Peacock Feather Key Chain Key Rings Peacock Feather Key Chain Acrylic Key Chain Acrylic Key Chain Marble & Stone Artifacts Categories Products Stone Table Top Metal Table Top Rajasthani Handicrafts Rajasthani Camel Culture Handicrafts Handicraft Items Rajasthani Camel Culture Handicrafts Decorative Items Rajasthani Camel Culture Handicrafts Bamboo and Wooden Handicrafts Categories Products Wooden Handicraft Antique Ganesha Flute Wooden Baground Handicraft Wood Crafts Krishna Flute Modern Style Wooden Background Wooden Decoratives Krishna Flute Modern Style Wooden Background Incense Sticks & Pooja Items Categories Products Religious Craft Umbrella Ganesha Gift's Shinathji Krishna Face Religious Craft Religious Gift Umbrella Ganesha Gift's Restaurant & Cafeteria Furniture Categories Products Hotel Table Catering Mask Table Hotel Furniture Catering Mask Table Hotel & Restaurant Furniture Catering Mask Table Flower Pots, Wall & Garden Planters Categories Products Decorative Flower Pot Iron Flower Pot Flower Pots Iron Flower Pot Presentation Boards & Supplies Categories Products Key Hanger Board Ganesha Key Hangers Key Holders Ganesha Key Hangers Hardware: Hooks & Mounts Categories Products Key HooksRemove Key Hooks Party Decorations & Supplies Categories Products Tribal Mask Tribal Couple Mask Wall Hanging Retail Display Stands and Fixtures Categories Products Catering Counter Wedding Catering & Counter Decorative Fancy Table.